Does anybody know what this is? This video was recorded in Bristol, PA around 10pm on April 14, 2018. Very curious indeed! Does anyone recognize this strange sounds? Are they back again? Within last week they were also reported in Hawaii and in Ohio. Is it possible this was some kind of emergency warning siren that was being tested or perhaps set off by mistake? Some towns have them for tornado warnings and the like. Or factories that handle dangerous materials use an evacuation siren. The horn-sound reminds me of the air-raid sirens that were used during the cold war. I was a grade school kid during the 60’s, living in the Washington D.C. area. (Just a couple miles from the Pentagon). Because we were in one of the USA’s primary target zones, we had air-raid drills every 10 weeks or so. One of those sirens was in the back yard of my elementary school. It was ear piercingly loud as it was meant to be heard for miles away. I had to cover my ears whenever it went off. Argh! I hated those drills. 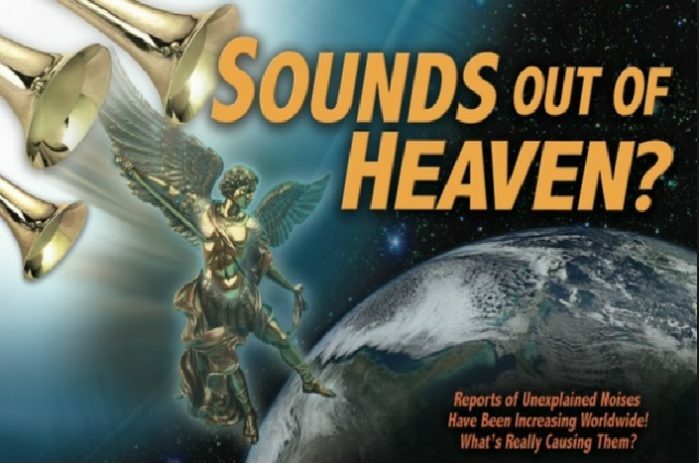 The sounds, heard globally and at different times are a result of plasmatic arcing between earth and our dying sun visitor and its planetary hoarde of followers. Just look at Jupiter’s satellite which expolded with volcanic activity recently. At some point the sounds will be heard all over Earth at the same time as these invaders get closer. We will eventually rotate into its toxic, billion mile long tail. Repentagram – For Christ’s sake! What the heck are you going on about? Sounds like machinery running. Steady and stable in volume. Please stop with conspiracy theories over the easy to explain! PUBLIC SECURITY SECTION 9 AGENT BATOU SAYS; Sounds like the TACHIKOMA that I always use when I give it natural oil, as it”s idles on the roof of a building. We wait for orders. PUBLIC SECURITY SECTION9 AGENT TOGUSA SAYS; Sounds like BATOU”s belly rumbling after us being on stake out ,watching the Laughing Man when we ran out of beef jerky!